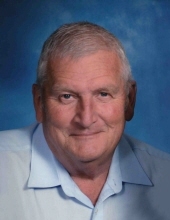 Mr. Ronald Brink, age 75, of Orange City, passed away on Saturday, January 12, 2019, at his residence. There will be a memorial service on Wednesday, January 16, at 11:00am, at the Newkirk Reformed Church in rural Hospers. The Rev. Harlan De Jong will officiate. Interment will be prior to the service at the Sherman Township Cemetery in rural Maurice. There will be a family prayer service on Wednesday, at 9:15am, at the Oolman Funeral Home in Orange City. Visitation with the family will be on Tuesday, from 5:00pm to 7:00pm, at the funeral home. Ronald Jay was born on August 19, 1943, in Sheldon, the son of James and Johanna (IntVeld) Brink. He was raised in the Hospers, Melvin, and Sibley areas. He attended the Melvin Community and the Maurice – Orange City Community Schools. He also attended the Southern State Teachers College in Springfield, South Dakota. On August 7, 1964, he married Beverly Faye Kuiken at the First Reformed Church in Sioux Center. They first made their home in Sioux Center until the early 1970’s, when they moved to rural Orange City. In 1988, they moved into Orange City, and in 1995, they moved to Spirit Lake. In 2000, they moved to Ringsted, and in 2003, they returned to Orange City. For many years, Mr. Brink operated Ron’s Cabinet Shop, and in later years, he was a commissioned lay pastor at Armstrong, Ringsted, and Alton Presbyterian Churches. He had a passion for studying God’s Word, and he really enjoyed visiting and talking with people. He was currently a member of the Newkirk Reformed Church and a former member of the Trinity Reformed Church in Orange City. At both churches, he served on the consistories and taught Sunday school classes. “Ron” was a leader of the Tractor Enthusiasts and in addition to keeping the group informed, he and “Bev” enjoyed going on tractor rides in the summer. He was also president of the American Pencil Collector Society. He liked playing Sudoku and writing poetry. Survivors include his wife of more than 54 years; a son and his wife, Jay and Val Brink, of Sioux Center; two daughters and their husbands, Ann and David “Chuck” Vander Vegte, of Orange City; and Kay and Steve Grosvenor, of Beresford, South Dakota; two grandchildren, Jaclyn (Brink), and her husband, Austin Van Beek; and Ty Brink; a sister and her husband, Linda and John Schulte, of Orange City; a brother, Delmar Brink, of Des Moines; and nephews and nieces. Memorials may be directed to Talking Bibles International. To send flowers or a remembrance gift to the family of Ronald J. Brink, please visit our Tribute Store. "Email Address" would like to share the life celebration of Ronald J. Brink. Click on the "link" to go to share a favorite memory or leave a condolence message for the family.